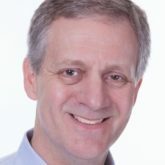 Kurt Bittner has had a long and varied career during which he has been a developer, an application architect, and database application performance tuning expert, a product manager, a product owner, a software product line owner, a catalyst for improving application development capability, a coach and mentor, and an industry analyst focused on how organizations are using Agile and DevOps practices to improve their their speed and quality of delivery while reducing cost and improving business performance. At Scrum.org he is focused on scaling Scrum to the enterprise level. Traditional product management focuses on features, things that the application will do, to define products and releases. Features specify how the application will work. They are outputs of the development effort. Product managers and users find defining outputs very easy, but features often fail to deliver the business results that their proponents imagines. What’s missing is a clear focus on the outcomes the customer or user is trying to achieve. Better understanding outcomes helps product managers and Agile teams understand what customers really need, and to build “experiments” to help them improve their understanding of customer needs. This presentation will explore the benefits of an outcome-oriented approach to product and porfolio management, and how to make it work, including what it means to Agile teams. 1. What are outcomes? How are they different from user stories and features?